Is the way you walk a warning sign of hip problems—or a future hip replacement? When you march in place, is your body in a straight line from top to bottom? Are your shoulders and hips level—or do they dip or sway from side to side? In this video, SilverSneakers fitness expert David Jack, along with physical therapist Mark Greenwood, explains how the Trendelenburg test can give you clues about your gait and risk of hip problems. You’ll need a mirror, preferably one that allows you to see your whole body. Try the test now, then see what your results mean below. If you’re not able to march safely, skip the test, but check out the tips below. That’s a sign you have good posture and a healthy gait. Specifically, it means your hips are level as you walk, which puts less stress on your bones, muscles, and joints. Your focus now: prevention. Weak hip abductors—those are the muscles on the outside of your hips, and they’re responsible for pulling your thighs away from your body—can affect the way you walk. These tips and exercises for a healthy gait can help. Another great way to help yourself: Aim for good total-body alignment throughout your entire day, whether you’re standing in line at the grocery store, walking for fun, or taking a SilverSneakers class. That’s a sign of Trendelenburg gait, which means your hips aren’t level as you walk. Instead, they may swing like a bell from side to side, putting stress on your knee joints and making walking painful. That’s also a sign to talk to your doctor. 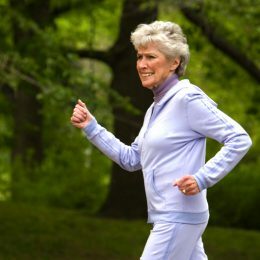 Trendelenburg gait is a walking pattern that’s often seen in older adults who need or have recently undergone a hip replacement. In some cases, changes in your walking pattern may be caused by neurological issues instead, like Parkinson’s disease or dementia. Afraid to move because you might fall or injure yourself? Or perhaps you’ve previously fallen or had surgery, but aren’t sure what’s safe for you. 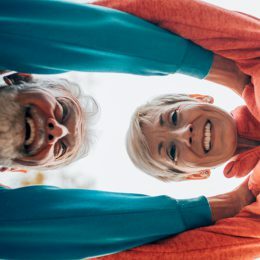 It turns out, staying as active as you can may be the best thing you do for your health—and your confidence. The key is working with your doctor to find the right plan for you. What types of exercise are appropriate for me, and what types should I avoid? 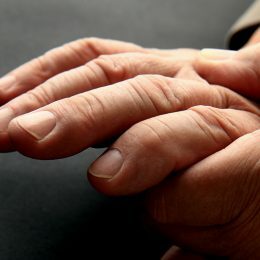 For example, if you have arthritis, check out the dos and don’ts of exercising with arthritis.